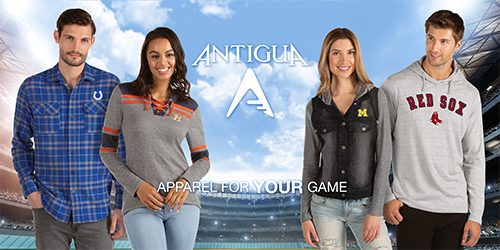 The Antigua Group, Inc. is a leading designer and marketer of men's, women's and children's lifestyle apparel and sportswear under the distinctive Antigua label. Antigua currently holds licenses with major professional sports leagues including the NFL, NBA, MLS, MLB, Minor League Baseball, NHL and hundreds of colleges and universities. Antigua currently holds licenses with major professional sports leagues; including the NFL, MLB, NBA, MLS, Minor League Baseball, NHL, Nascar and hundreds of colleges and universities. 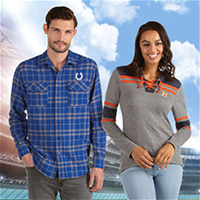 The company's merchandise, attractive and upscale, can be found in team shops and at major sporting events such as the MLB All Star Game, the NBA All Star Game and the Super Bowl NFL Experience.